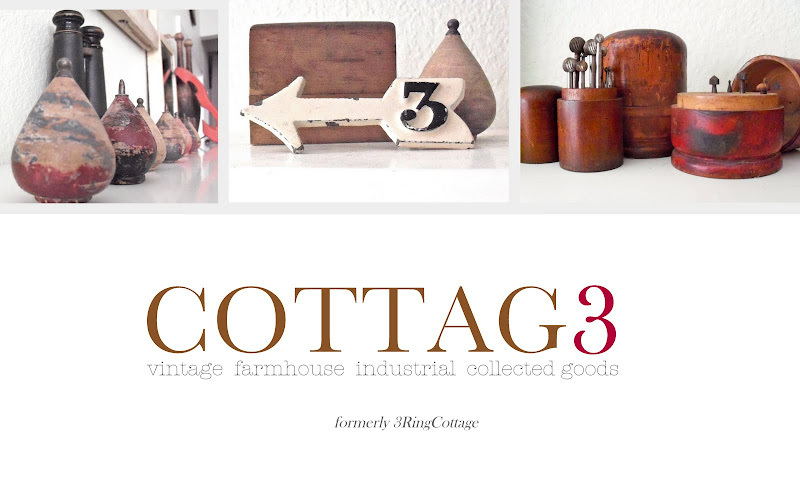 Remember way back in week one of my blog (which is now a whole three weeks old!) 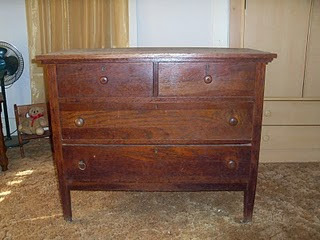 when I posted a picture of a dresser my husband brought home from his mother's house? Well, I finally finished giving it a little makeover to better fit in with the style of our house. Here are the before and after pictures. 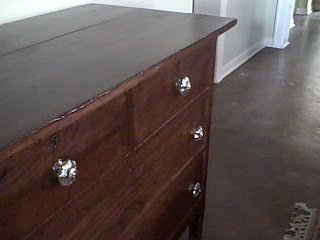 After: a little bit darker stain and new knobs! It's still has a slightly shiny finish although it's hard to tell from my poor photography skills. I like a dark piece of furniture against light walls and in a mostly neutral room. It seems to ground things. 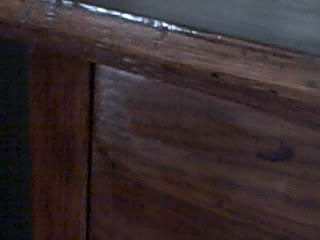 I know the proper thing to do is to strip the piece, sand, apply stain, sand, re-apply stain, etc. I've always been one to take the easy way out when it comes to projects like this. If I had stripped, sanded, etc,. I would have taken away all of the character and I want to keep the character. So, I just applied a coat of stain right over it. The only prep was to wipe it down with a damp cloth to clean it. 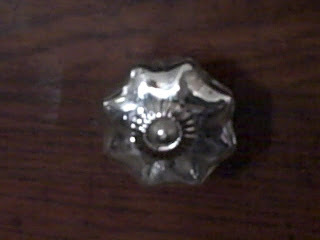 The knobs are mercury glass knobs from Anthropologie. Total cost: $48. for the knobs. I already had the stain from another project and the dresser was free. This looks so great that I just have to walk by it whenever I'm in this house. It's all shiny and dark and stuff. It blows my pants off. Great piece of furniture. Keep on doing your stuff with your things. 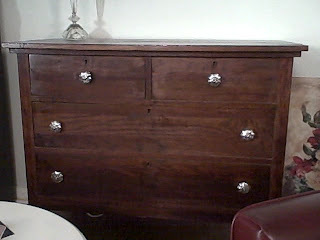 The dresser is gorgeous; those knobs really made it glamorous. Found it!! 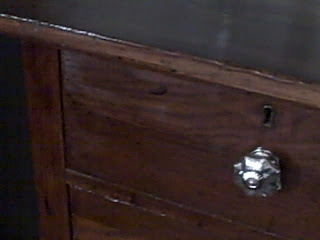 The knobs look so pretty with the dark stain. Glad you restained instead of painting over it. The keyhole on the dresser is really cool too.